Do you have an electronic circuit board or product that you need to copy or duplicate? This guide provides you with an overview of the workflow process. Reverse engineering work is a tedious process. It can often cost more than a fresh new development due to the amount of work required. Please also respect the Intellectual Property of the product that you are duplicating. We will not copy for you if found that this is violated. For further information, you may like to visit the reverse engineering page. Step 1: Provide us with application information of your board. The first thing that we need from you is information about your project. Any information that you know will be important to help us estimate the time and cost required to complete the project. This will allow us to estimate a cost for your approval. We will need as much information as possible. The project quotation is relevant to the information provided. Insufficient information will indicate a higher risk for us and hence will increase the quoted price. We will have to reject your project if we think that your information is not sufficient for us to proceed. The following is a guide to the information that you can provide to us for a quotation. 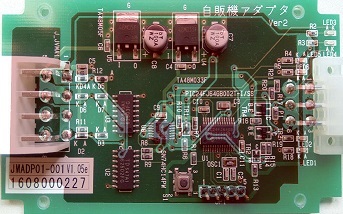 Photos of the electronic circuit board. Application description and photos of where and how the board is being used. Technical or user manual of the board. The reasons why you want to duplicate/copy the board. Step 2: Receive an estimated project costing. Once we have understood and accepted your project for evaluation, an estimated quote will be presented to you. This initial quote will help you decide if you want to proceed further. This quote is only an estimate and is usually close to the actual quote after the evaluation. The quotation is usually inclusive of delivering a working prototype for your evaluation. Step 3: Send in your physical board. If you are comfortable with the presented estimated cost of the project, you can proceed to send a working sample of the electronic circuit board to our office for the detailed evaluation work. Step 4: Evaluation of your circuit board. Once we have received your circuit board, we will start to evaluate. The evaluation may take about 2-4 weeks depending on our production schedule during that period. Step 5: Presenting you with a formal quotation for your approval. After the evaluation is completed, we will present you with a formal quotation for the work. Step 6: Advance payment required to proceed. If the quote is acceptable, full advance payment will be required for the work to proceed. Payment will be via Bank Telegraphic Transfer or Credit Card via Paypal. Please note that all bank charges expense has to be paid by you. Step 7: Delivery of a replicated circuit board. Once the project is completed, a prototype will be delivered to you.